Attending conferences is one of the best ways to stay ahead in the ever-changing financial technology and digital banking industry. At Strands we have been active participants, sponsors, and speakers at major events all around the world. In 2017 alone, we were involved in more than 40 events. That being said, we would like to share our top fintech events list, some thoughts on the reasons for picking them, and a few tips on what to look out for. Note: the list is in chronological order, from the earliest to the latest date. 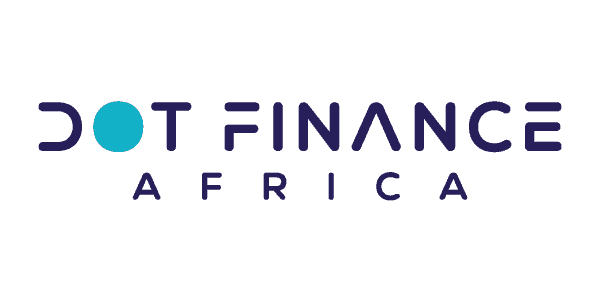 Our first stop this year is in Rwanda for Dot Finance, Africa’s top Fintech summit, which brings Africa’s FinTech leaders together. From our previous experience, speakers deliver fresh content and networking is top quality. Chris Skinner takes an active role in preparing the agenda and engages throughout the conference, which makes for a very interesting program. A lower scale event but very productive. Organizers arrange one-to-one meetings between financial institutions and solution providers. This gives an opportunity for banks to select the companies they want to share their challenges with and hear solutions. FinTechs are guaranteed a minimum of 10 or 20 meetings (depending on the sponsorship package) with the decision-makers of major banks with potential business opportunities. Our experience last year was very positive, adding to our pipeline of quality leads in the APAC region, so this year we have decided to repeat. This is the first edition of the SME Finance Forum in Africa. As a founding member, Strands has been an active participant at all the SME Finance Forum events, as they are really unique. Matthew Gamser and his team really do their best to bring together SME Banking decision-makers from all around the world, especially from emerging regions such as Asia, Africa and Latin America, and a wide range of FinTechs with innovative SME Banking solutions. Given Strands’ growing presence in Africa and our flagship project with CBA, we couldn’t miss this event. This has become an absolutely unmissable event in Europe, as this where all the key influencers, industry disruptors and decision-makers meet. If you are interested in sponsoring the event, there is a range of options from an affordable kiosk-stand to large-scale exhibition areas for larger institutions. Make sure to book your spot at least six months in advance, as the best locations are taken fast, and in such a large exhibition area you should aim position yourself in a strategic location where you are most visible for best impact. Another large scale event with 5,000+ attendees, 14 content tracks and 1,000 companies. MoneyConf is organized by the team behind the world’s largest digital banking conference, Web Summit. This year it’s taking place in a new venue in Dublin, having previously been held in Madrid. It’s our first time sponsoring this conference; we attended the previous editions and were impressed by the quality of this event with its fresh content and format. A niche digital banking conference with high-level participants. Efma is a banking association formed in 1971, with over 3,300 member-companies from 130 countries. Their SME Banking Summit has become a must-attend annual event that focuses on the challenges facing SMEs in the evolving retail financial services landscape. What is especially interesting for Stands is the focus on analyzing how FinTechs cater to SMEs in a business environment, how banks can digitize operations to improve the customer experience and increase the number of relevant customer touchpoints. For sure most of you know Finovate, one of the first flagship events in our industry. Since 2009, Strands has demoed at Finovate events across the world, from San Francisco to Hong Kong. Each year we pick one of the locations to present our recent product innovations. This year it’s going to be NYC, which promises to be one of the largest, with over 1,500 attendees. Last year we demoed at FinovateAsia, which was a much smaller scale event with around 300 attendees. Our most recent experience has demonstrated that Finovate has a much stronger footprint in the USA and UK, whilst in Asia there seems to be too much competition in the FinTech events space. Yes, this year is a Money20/20 year for Strands, it’s our third one after Asian and European editions earlier this year. As mentioned above, it’s a huge event that requires good preparation and a clear idea of what you are after in terms of content and contacts. The marketing of this conference definitely stands out; I love their caricatures and infographics! Come meet us at the Money20/20 USA event between Oct 21-24! Last but not least on this list is our all times favorite SME Finance Forum annual flagship event that brings together 400+ senior executives from commercial banks, development finance institutions, Fintech companies, as well as regulators to focus on leveraging digital banking to serve SMEs. We like it because it is an action-packed 3-day event that includes study visits to high-performing institutions, a B2B marketplace, Fintech expos, panels, working groups as well as networking sessions and a gala dinner. Towards the end of the conference, the friendly atmosphere is particularly pleasant; there’s a definite feeling that you have had a chance to get to know everyone there. Come meet us at the event between November 12-16th. We will be at booth 2D24 in Hall 2. Bonus pick. If you are into InsurTech, make sure you don’t miss DIA Amsterdam taking place on 16-17 May. This event has become the meeting point for insurers seeking innovative solutions. A very high-quality event with over 50 insurtech demos, numerous thought leader keynotes and a great venue. Look forward to bumping into you at one (or more) of these events!